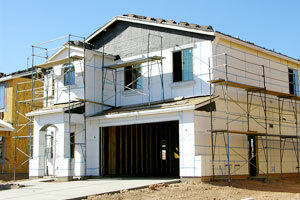 As a contractor, you know how important it is to provide your customers with top-notch building materials. Even if you perform meticulous craftsmanship with a fine attention to detail, an inferior product can seriously affect the outcome of your customers’ projects. To protect yourself from less-than-satisfied customers and to give them the quality of products they deserve, turn to 31-W Insulation for your customers’ materials. We only supply materials that have been built to last by the industry’s top manufacturers. So, you can be confident that you’re completing your customers’ projects with materials that you can stand behind. Utilizing exceptional products can not only enable you to provide your customers with the quality of work they deserve, but can also ensure that your company is presented in the best light possible. In a business that relies on word-of-mouth advertising, it’s crucial that your company does everything in its power to guarantee customer satisfaction. To learn more about our selection of building materials and how they can help you provide your customers with the exceptional home remodeling services they deserve, contact 31-W Insulation today.